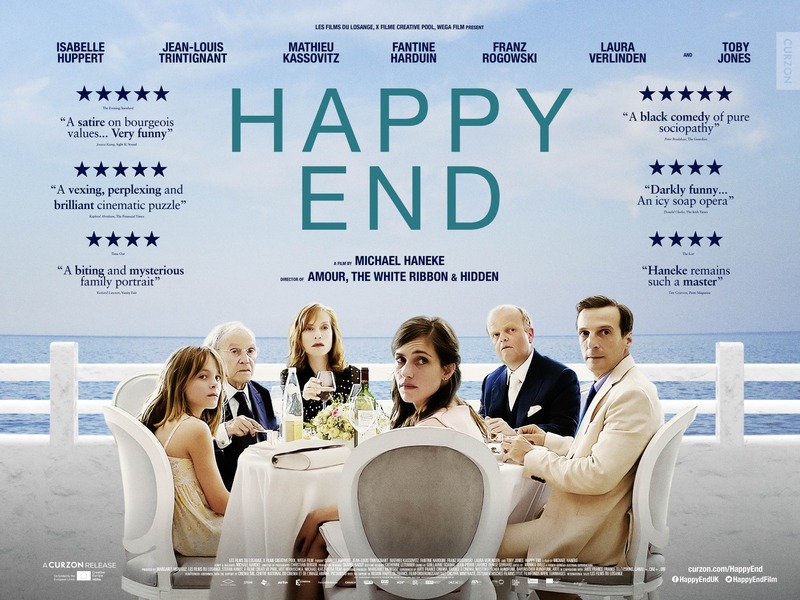 Three generations of a wealthy French family obsess over death in 'Happy End." Don't look for a 'happy end," as the family patriarch entices his 13-year-old granddaughter to assist ending his long life. 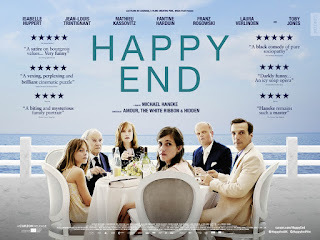 Much unhappiness goes on display in this clan headed by Isabelle Huppert. The production is interesting, mixing cell footage with widescreen effects and a powerful far from away look at an industrial cave-in. In French, with subtitles. I can't imagine recommending to anyone I know. Does it deliver what it promises? Dark and very French. Is it entertaining? Sometimes shocking and interesting, but made me feel like I had wasted my time. Is it worth the price of admission? No thanks.